In September of 2011, China launched its first prototype space station. Tiangong-1 (translated into English: “Heavenly Palace 1”), was in operation until March 2016. During its operational history, it received three of visits by the China National Space Administration (CNSA). The unmanned Shenzou 8 docked with Tiangong-1 in November 2011, followed by two crewed missions: Shenzou 9 docked in June 2012, and Shenzou 10 in June 2013. China’s first two female astronauts participated in the crewed Shenzou missions to the space station: Liu Yang, China’s first woman in space, went up with Shnenzou 9, and Wang Yaping hitched a ride on Shenzou 10. 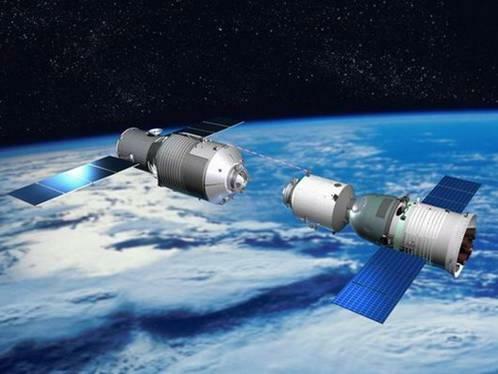 In March of 2016, CNSA announced that they had retired the station and included a vague comment about losing communications with Tiangong-1. Amateur astronomers observing the station began to suspect that CNSA had lost any ability to control the station; it had gone rogue. 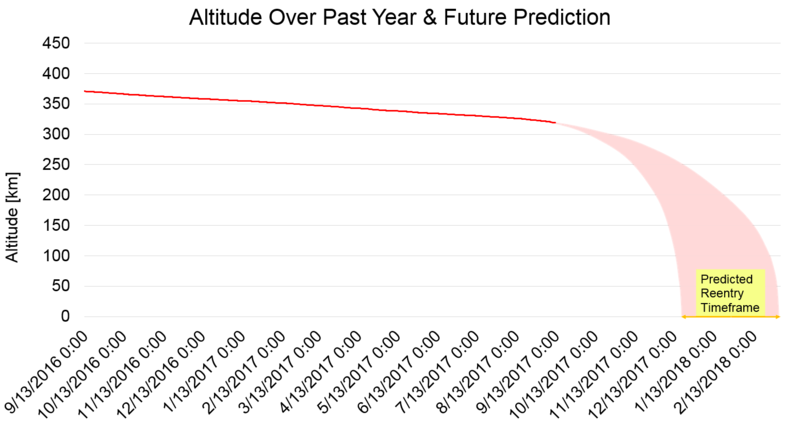 In September of 2016, CNSA admitted that they had no control over the space station and that they expected it to burn up in the Earth’s atmosphere by the end of 2017. The Aerospace Corporation has a webpage devoted to the Tiangong-1 re-entry, with a wealth of information, including a very informative FAQ.